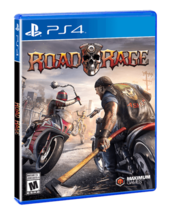 Gamers navigate an open-world environment and dish out brutal attacks as they try to become the head of a ruthless motorcycle gang in Road Rage. 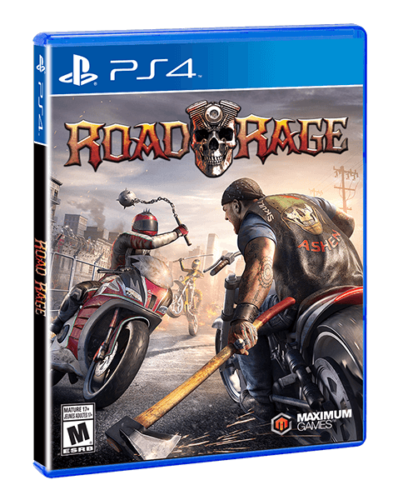 The action takes place in the rundown metropolis of Ashen, and players can customize their character and bike before becoming the newest member of the city's roughest gang. Gamers wield melee weapons like baseball bats, swords, chainsaws, and golf clubs as they earn cash and climb the ranks of their gang. There are 42 missions in the main campaign, while 56 side missions and races help players earn even more loot.